14 August 2018 (Sputnik)* – On Monday [13 August 2018], Dr. Richard Wolff, economist and professor at the New School University, told Radio Sputnik’s By Any Means Necessary that the stability of the US economy is wavering, and the country could be headed for another economic crash, reminiscent of the 2008 crisis. “I would certainly be among those who take very seriously worker anxiety. It is, in general, an important aspect of how an economic system works for people,” Wolff told hosts Eugene Puryear and Sean Blackmon. “As a result, for some years, Americans did not borrow the way they had, because they had gotten burnt. They were deeply anxious about indebtedness, because it had hurt them… millions had lost their homes. You could see the effect of anxiety in the very fact that Americans were not buying the way they were before. And that led American companies not to use the profits they earned to expand production and hire workers, because Americans were not borrowing to pay for those things. The irony is, the very worsening of the employment situation since 2008 is a direct consequence of the anxiety of the 2008 crash,” Wolff continued. 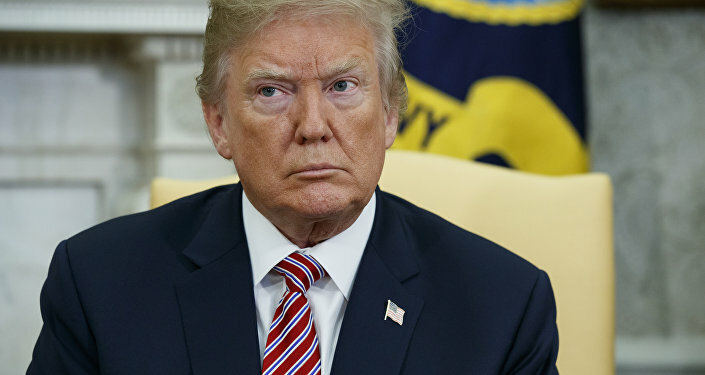 In June, the CNBC All-America Economic Survey revealed that more than half of Americans approved of US President Donald Trump’s handling of the economy. However, in reality, the US economy may find itself in dire straits, unless measures are taken as soon as possible, the US Office of Government Accountability (GAO) warned the US Congress on June 21, 2018, Sputnik reported in June. “Over the the last two or three years, with the endless drumbeat first of Obama and now by Trump that the economy is great, millions of American workers, partly because they hear this every day and partly because the memory of the 2008 crash is now 10 years old, are beginning to borrow again. Now, that is very, very dangerous. For a short time, it may give the economy a boost as people borrow and spend that money. Once the decline begins, as they cannot pay those debts back, and there is every sign they won’t be able to, we are facing the risk of another momentous crash,” Wolff told Radio Sputnik. “Those who have debts, I’m particularly thinking of the students in our society, who are coming out of programs with endless amounts of debts… there are studies indicating how this is hyping their anxiety, being anxious about their ability to pay back these huge debts. They are making decisions to take jobs they don’t want, because they are so worried about being able to pay it [the debt] back. They take jobs that make [them] insecure and depressed. They are postponing marriage and children. That will have ramifications on our society that [are] enormous. Statistics show that the current generation of young people are living with their parents in numbers we haven’t seen in decades, because they can’t afford their own homes,” Wolff added. According to Wolff, capitalism inherently results in economic downturns. “Capitalism is about two to three centuries old for being the dominant economy. And here’s the truth and reality nobody should ever forget. Before capitalism, you had ups and downs in the economy, but they were usually because natural events — floods, droughts, soil being infertile or warfare,” Wolff said. “Capitalism has had those kinds of troubles too, but capitalism adds something else. In every country where capitalism is the dominant system, they have an economic downturn not related to nature and warfare every four to seven years. And some of them are short and shallow. Others of these downturns are long and deep. Capitalism is an inherently unstable system,” Wolff added.